There are three hotels on Lanai. I stayed at both the Four Seasons Resort at Manele Bay and the Koele Lodge before spending two nights at the third one, the Hotel Lanai. And as much as I loved both of the Four Seasons resorts for what they offered, I enjoyed my stay at the Hotel Lanai for what set it apart; the hotel has a bed and breakfast simplicity feeling that escapes the others, which is why it was ranked as one of the best boutique hotels in Hawaii. 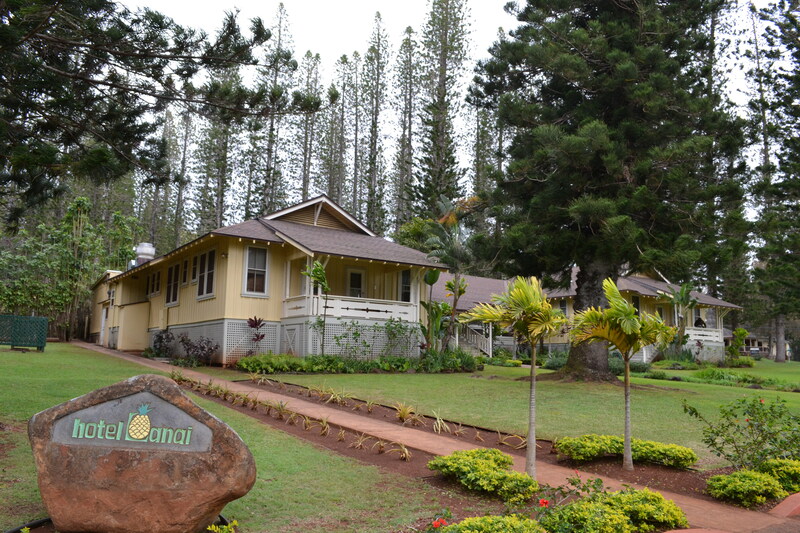 Lanai City has a mountain town type of feeling, since it is covered in giant pine trees. The grounds around the Hotel Lanai, which is in the heart of the city, are no different; the giant trees tower over the hotel. So when walking into the Hotel Lanai, there was a familiar feeling for me like when I stay at a charming mountain getaway in Colorado. The lobby of the hotel immediately impressed me as a place I’d like to lounge and read a book, which I did. The wicker chairs and the view toward Dole Park create a relaxing atmosphere, while also remaining social as it’s possible to connect with other guests. And people are constantly coming and going, since the Hotel Lanai is one of the stops on the shuttle bus that connects the three hotels on the island. After checking in, I was lead to my room by the front desk agent. This would be frowned upon at many hotels, leaving the front desk unmanned, but it’s part of the appeal for the Hotel Lanai – that bed and breakfast feeling I mentioned. And I loved it, the casualness of the hotel. It was simple, relaxed, and had that Goldilocks just right feeling from the get go. It was Hawaiian Aloha to a tee. My room at the Hotel Lanai was no different. 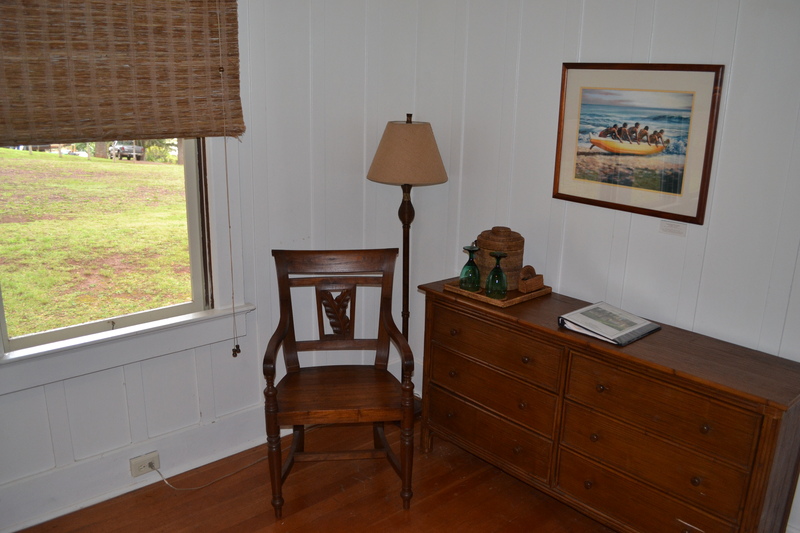 There was nothing fancy about it, right down to the lack of air conditioning – which really isn’t necessary in upcountry Lanai – and other furnishings. I was comfortable throughout my whole stay, enjoying the room and the recent renovations which have been made to it, as well as the rest of the property, by the new owners. The only disappointment for me in the room was that there was no desk. Seeing as I was invited to write about the island by the Lanai Visitor Bureau, I was frustrated there was no good place to set up my computer to write. I was able to manage, though, pulling the room’s chair up and spreading out my materials on the top of a short dresser. The Lanai City Grille occupies the space in between the two main wings of the hotel, the area right behind the lobby and the veranda. The atmosphere is several different things all at once – casual, romantic, and family. 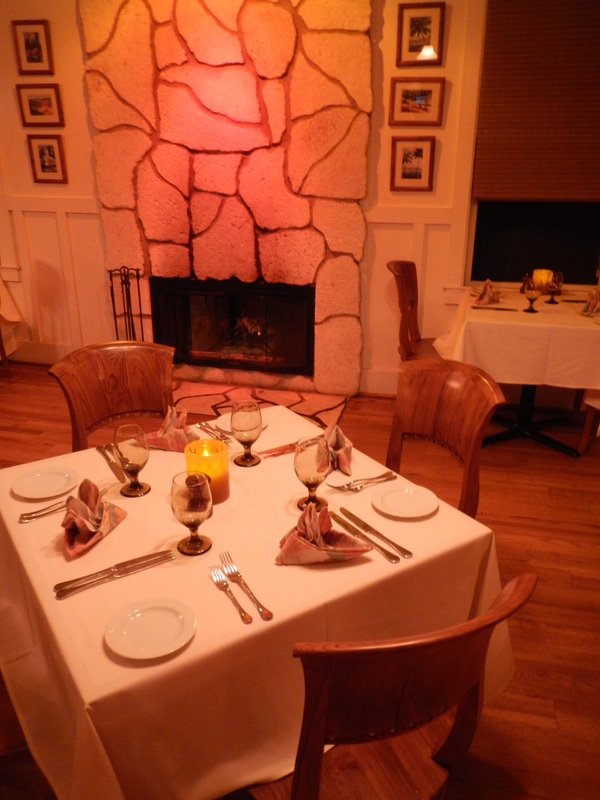 This is cleverly pulled off based on where guests sit in the restaurant, since the bar creates one vibe, while the main dining room does another, and a spot under the dimmed lights by the fireplace creates yet another mood. From the pork wontons to the ribs to the fried chicken to the variety of potatoes to the asparagus and beyond to the dessert, I was in foodie heaven at the Lanai City Grille. 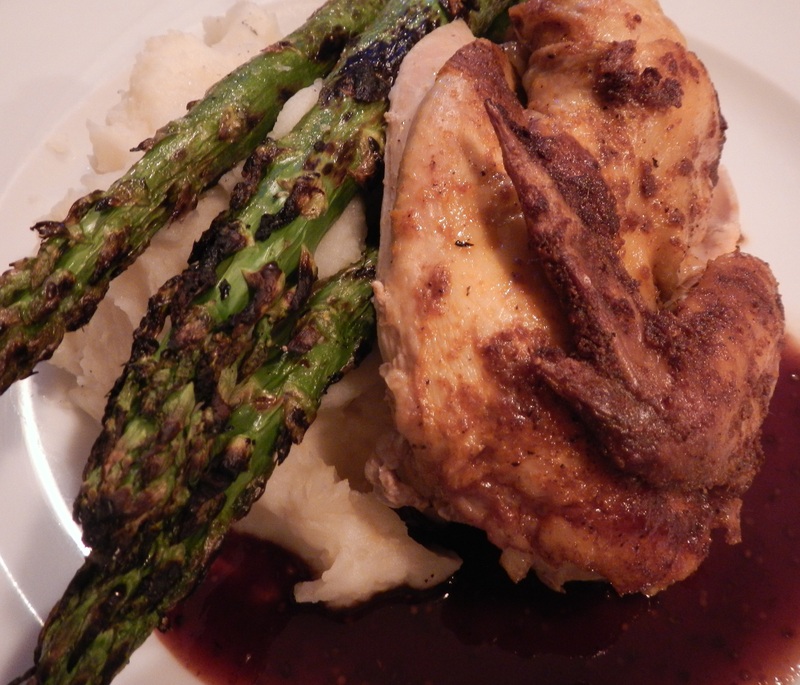 And no matter where you decide to sit, the food is simply wonderful. I didn’t think it’d be possible to be any more impressed than I was by the dining options at the two Four Seasons resorts, but the Lanai City Grille matched them step for step with handmade recipes with marvelous flavors. In addition to the fantastic eats at the Lanai City Grille, the Hotel Lanai offers a complimentary continental breakfast, something which is not done by the hotel’s island competitors. 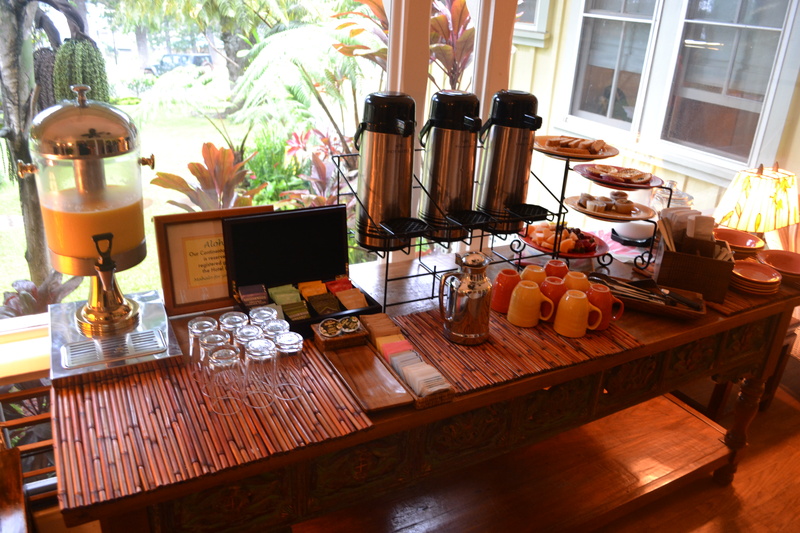 And while it’s generally like any other continental breakfast, it’s a fantastic touch that makes the Hotel Lanai an excellent option. How so? Because you’re already saving loads of money by staying at the least expensive hotel on the island. Add to that the savings from the cost of breakfast elsewhere, and you end up with a good chunk of change in your pocket, which, of course, can be used dining at night in the Lanai City Grille or in the restaurants at either Manele Bay or the Koele Lodge. One of the best parts of staying at the Hotel Lanai is its proximity to Dole Park. 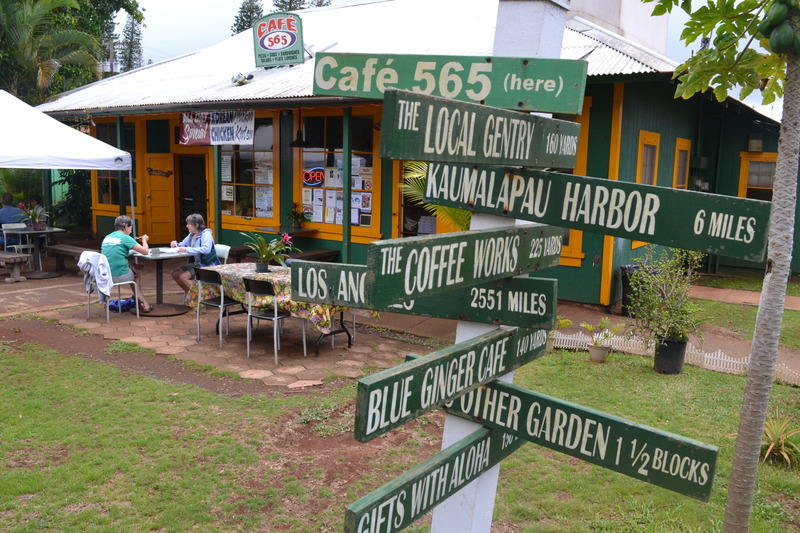 Want to do some shopping while on Lanai? Then this is exactly the spot for you. Doing the “Dole Stroll” is something I’ll write about more about later, though, since there are so many great ways to spend the money saved by staying at the Hotel Lanai all around the park. As I mentioned above, the inter-hotel shuttle stops at the Hotel Lanai. Once on board it’s possible to go anywhere – to Hulopo’e Beach, Manele Bay, or up to the Koele Lodge for activities there. There are easily dozens of options from which to choose – activities, beach time, or dining choices – through the use of the shuttle. It’s also possible to rent a car and see the island that way. The one rental car company on the island is only two short blocks away from the Hotel Lanai; the shuttle will drop you off, but it’s just as easy to walk. Once you have your own wheels, you can explore anywhere you want on the island. Well, within reason – some dirt roads could be rained out, so it’s best not to take a car on them or onto the beaches where you’ll sink in the sand. Check with the rental agent for details. 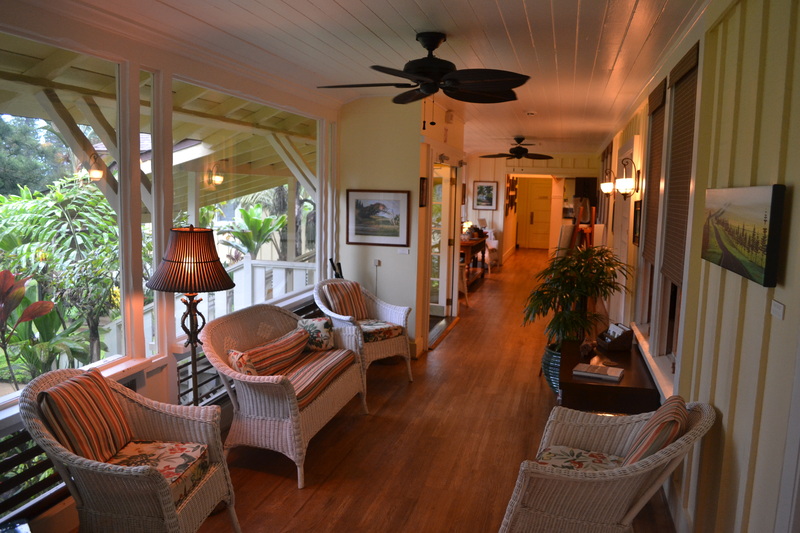 The Hotel Lanai is an affordable option that makes it possible for everyone to visit the island. Its rooms are comfortable, the dining as good if not better than its competitors options, and there are plenty of activities from which to choose in the area or off the hotel shuttle. It is a great property that should not be overlooked by its larger and more luxurious island competitors when planning a trip to Lanai. wow, this place looks amazing & the food looks delish! 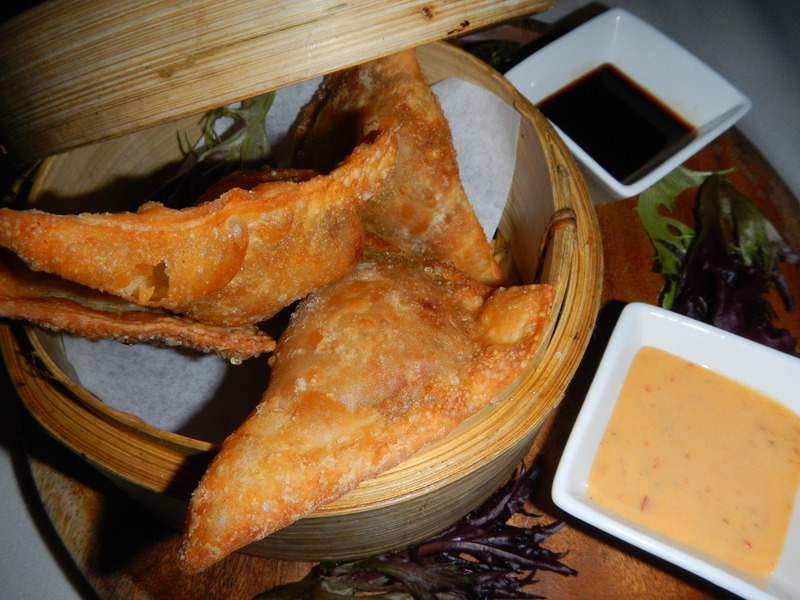 The chef really did do a great job – oh how I miss those pork wontons! 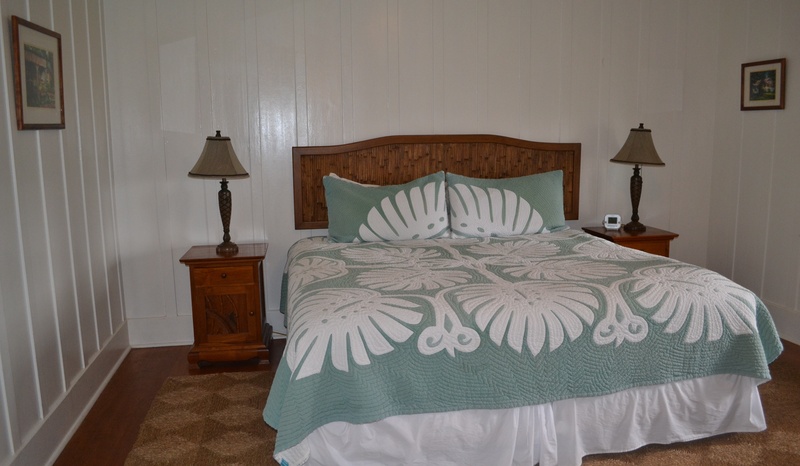 – and the Hotel Lanai was very comfortable and in a great location. I definitely recommend a visit.